M. García-Jaramillo, R. Calm, J. Bondia, C. Tarín, J. Vehí, Computing the risk of postprandial hypo- and phyperglycemia in type 1 diabetes mellitus considering intra-patient variability and other sources of uncertainty, Journal of Diabetes Science and Technology, 3(4), 895-902, 2009. P. Rossetti, F.J. Ampudia-Blasco, A. Laguna, J. Vehí, J. Ascaso, J. Bondia, Intra-subject variability makes prediction of post-prandial glucose response difficult in subjects with type 1 diabetes, American Diabetes Association’s 72nd Scientific Sessions, Philadelphia, PA, US, 2012. J. Monreal, J. Bondia, J. Picó, Application of local consistency techniques to the design of controllers with robust performance. Special session “Interval Tools for Control” IEEE CACSD, 2004. 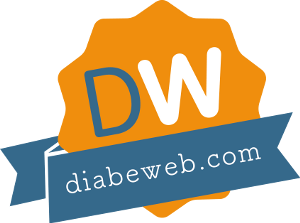 After more than 12 years of experience in the area of diabetes technology, the site Tecnodiabetes is born. It consists in a MEDERI Living Lab initiative to bring research and innovation in diabetes technology closer to its main beneficiaries: people living day to day with diabetes.